Professors Kit Myers, left, and Ma Vang head up the new Critical Race and Ethnic Studies program. Starting this semester, students in the School of Social Sciences, Humanities and Arts (SSHA) will have a new major option: Critical Race and Ethnic Studies (CRES). Led by professors Ma Vang and Kit Myers, the new major dovetails with UC Merced’s emphasis on inequality, power and social justice. The major is housed in the Humanities and World Cultures Unit, and Vang said that’s emblematic of how interdisciplinary the topic is. UC Merced’s Sociology group already has a focus on inequality and justice, so the two can work together, Vang said. The two professors have been working with a group of faculty members from across SSHA to develop curriculum and guide the major through the rigorous approval process for three years. The major has four interdisciplinary core classes, including a capstone/senior thesis course, along with various electives. Faculty members from affiliated programs will offer a host of other courses that students can take to fulfill additional major and elective requirements. Ethnic studies blossomed out of the Civil Rights Era, sparking social movements on campuses around the country. It’s the study of difference — mainly in race, ethnicity and nationality, but also gender, class and other areas — and power as expressed by the state, society and individuals. It was originally conceived to reframe what many people considered a Eurocentric approach to the stories, histories, struggles and triumphs of people of color, to hear their stories on their own terms. More recently, ethnic studies has expanded to include questions of representation, racialization, indigeneity, sexuality and other topics. We wanted draw on the existing disciplines to offer a breadth and depth of knowledge. Our goal is for students to learn to think more deeply and be able to apply what they learn. Because the major is so inclusive and new, students will have a hand in determining their own courses of study, Vang said. The career options for CRES students include teaching, law, politics, medicine, the arts and counseling. Another goal is to prepare students for graduate studies and professional school if they choose that route. The program will give students a broader perspective from which to consider structural inequalities and how they are linked, Myers said, and how people are building coalitions that are not isolated from each other. The introductory CRES class filled up with 60 students within two weeks of registration starting, so Myers and Vang requested and received permission to open up 60 more spots. Most of the students are first-years, but it’s a good start because the intro class can count toward many different majors, Vang said. 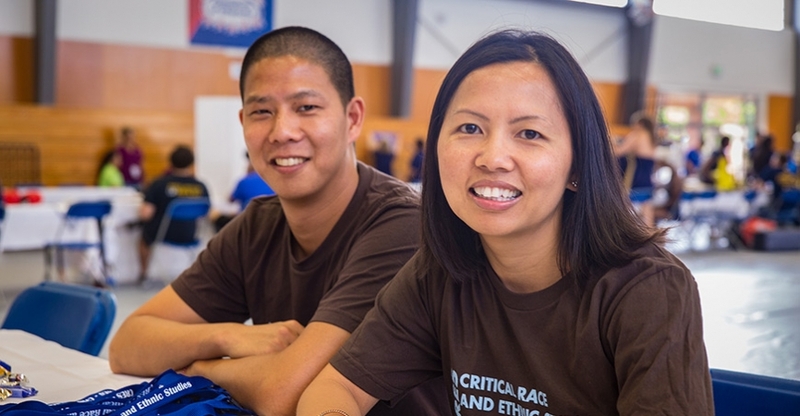 Both Vang and Myers were trained in ethnic studies, and forming this major is one reason they chose to come to UC Merced.